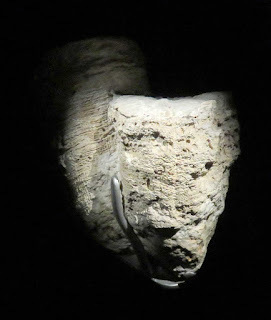 The image is of a Rudist mollusc shell fossil Hippurites rudiosus Des Moulins on display at the British Natural History Museum in London. These creatures existed in the Late Cretaceous Period. It was found Charente France.